Show your PRP & PRE pride with this youth pre-shrunk 100% ultra cotton Gildan t-shirts. 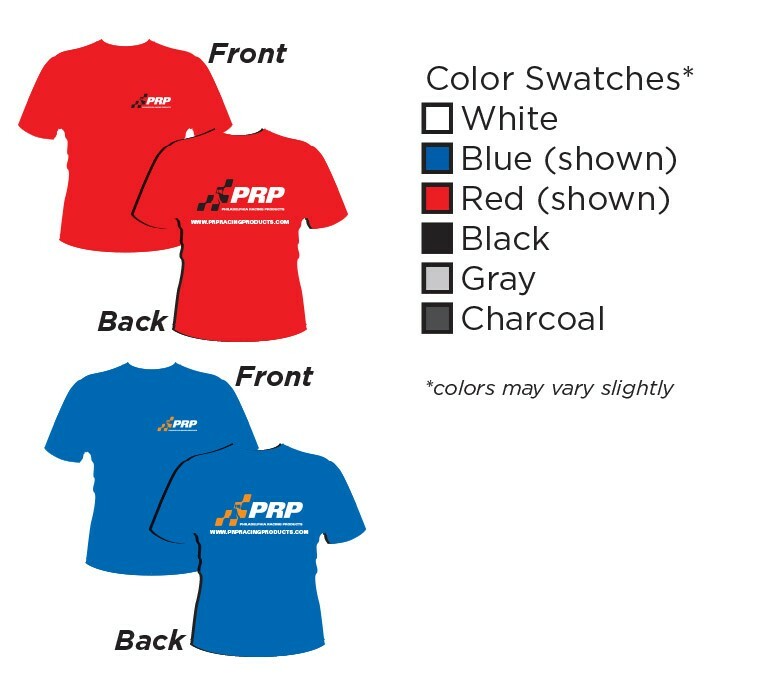 These t-shirts feature either the PRP Philadelphia Racing Products logo or the PRE Philadelphia Racing Engines logo on the front with a full size logo on the back. Choose from red, blue, black, white, gray or charcoal. Great to wear at the track or in the garage. Browse our other apparel options here.